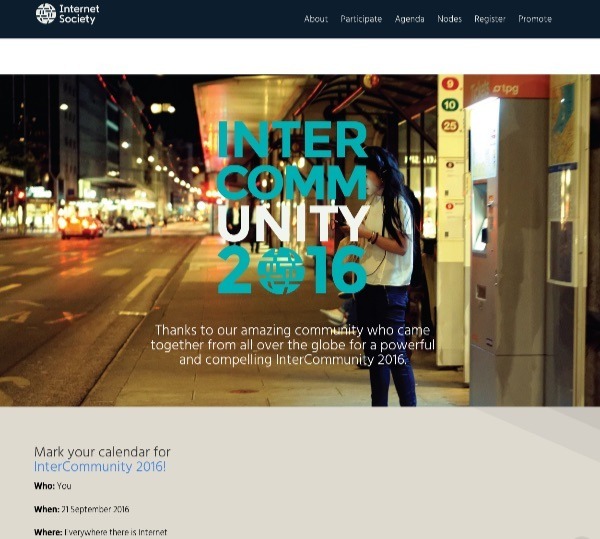 InterCommunity 2016, Internet Society's virtual meeting of our entire community, was designed to help build a world that supports everyone’s right to use the Internet to share knowledge, innovate and get their voices heard. InterCommunity 2016 took place around the world on 21 September 2016. Why: To help build a world that supports everyone’s right to use the Internet to share knowledge, innovate and get their voices heard.